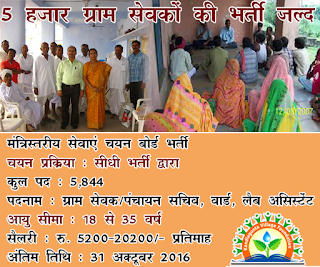 Rajasthan Subordinate & Ministerial Services Selection Board (RSMSSB) Has Open Application Form For 3948 Gram Sevak & Panchayat Sachiv, Warden. All Eligible Student Candidates Are Required To check Eligibility details for RSMSSB Job Advertisement and Apply Online Before On Last Date 31-10-2016. 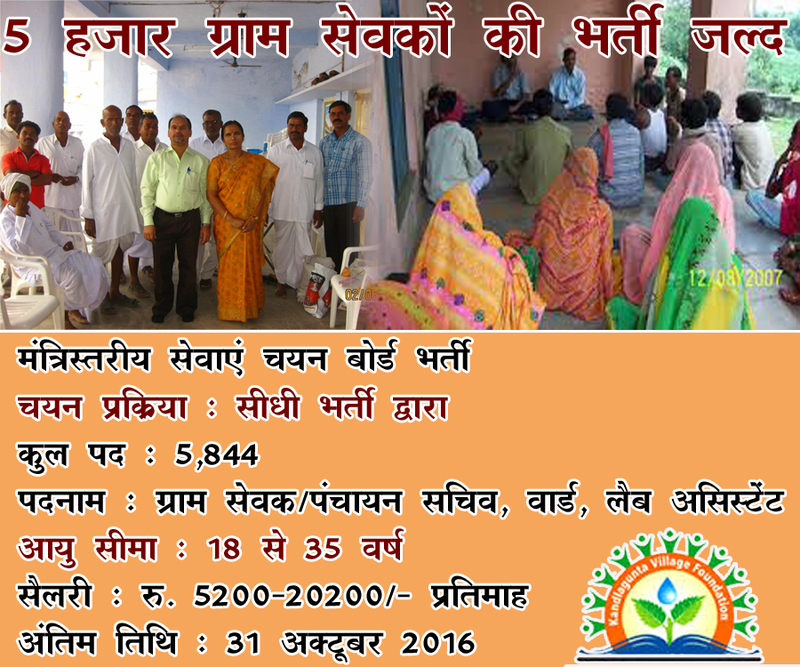 All Candidates Who Are Applying RSMSSB Recruitment 2016 For 3948 Gram Sevak & Panchayat Sachiv, Warden, Should Check Vacancy Details Like - Educational Qualifications And Experiences Requirement, Exam Pattern, Syllabus, Age Limit, Selection Criteria, Admit Card, Results, Exam Date, Before Applying. Salary And GradePay :- INR Rs. 5200 - 20200/- With 2400/- Grade Pay. Age Limit :- Candidates Student Applicant age should be between 18 to 35 Years As On 01-01-2017. Age relaxations will be applicable as per the rules. For More Info About Age Details Go To Detailed Advertisement. Educational Qualification :- All Interested Student Candidates should Must have completed Graduation Degree or its equivalent qualification from a recognized Board/University. For More Detail About Qualification Go To Detailed Advertisement. How To Apply :- All Eligible and Interested student candidates may fill the online application through official website http://rsmssb.rajasthan.gov.in. before or on 31-10-2016. Last Date :-Last Date for Registration of Online Application Form Is : 31-10-2016 .